Maritzburg United have announced the list of players that will be parting ways with the club ahead of the 2016/17 Absa Premiership campaign. Having successfully escaped relegation on the final day of the 2015/16 campaign, the Team Of Choice revealed some wholesale changes made to their squad in a bid to improve on their 14th-placed finish. 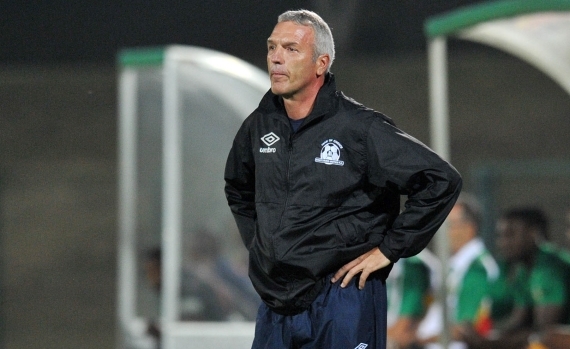 The club's Communications Manager, Brian Zuma, highlighted that coach Ernst Middendorp, who recently penned a new two-year deal with the team, is ready to begin pre-season with his side. "We are very happy that Ernst has signed and is starting the Pre-season with the team," Zuma revealed. "We will definitely have a very good pre-season preparation with the programme that he has put together, so that we are really competitive in the new season." The Pietermaritzburg-based outfit confirmed the release of six players on their official Facebook page and two loanees - who have subsequently returned to their parent clubs for the next season.